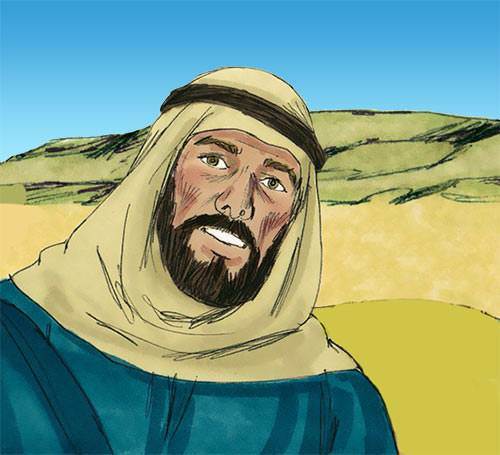 John: "Whom God loves" or "God is gracious"
When Jesus set out to gather His disciples at the beginning of His public ministry, He first called two pairs of brothers—Simon and Andrew, and James and John. There were as many boys named John in olden days as there are today. The John we are looking at here is the son of Zebedee and Salome, and the younger brother of James. John was chosen, not just to be a disciple of Jesus, but as an apostle. The meaning of the word ‘apostle’ is ‘one who is sent’. A ‘disciple’ is a general term, meaning a learner or a student, but the word ‘apostle’ is much more precise. Notice the transition from verse 1—where the twelve are called ‘disciples’—to verse 2, where they are referred to as ‘apostles’. All Christ’s followers are called to be disciples, but not all are called to be apostles. Some believe that after the Church was established in the first few decades after Christ, apostles and prophets were no longer needed and thus these ministries became obsolete. What do you believe about this? Are there apostles and prophets functioning in the Church today? The Galilean fishermen, of whom John was one, were notoriously tough and volatile characters who would not hesitate to speak out plainly on any occasion which concerned them. 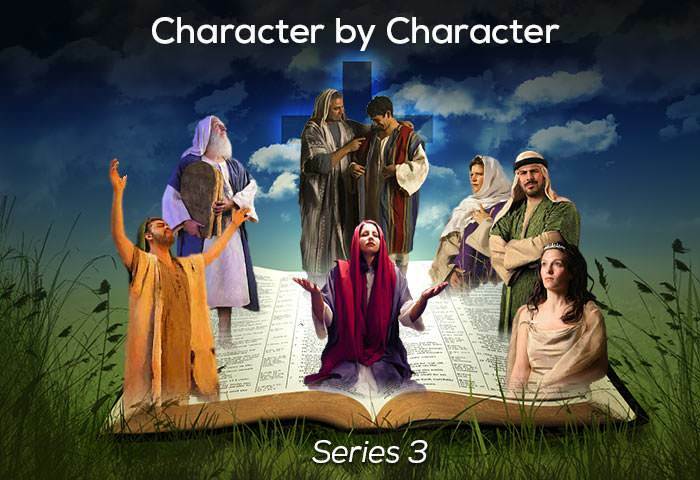 Peter, for example, when confronted during Christ’s trial by a young girl who accused him of being one of His disciples, lapsed into swearing and cursing (Matt. 26:74). John, too, seems to have had a similar disposition—at least during the early part of his relationship with Christ—when, along with his brother James, he blazed in anger at the Samaritans who would not give Jesus hospitality for the night. 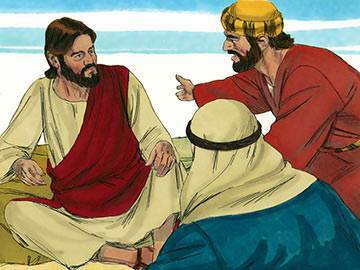 With good reason, it seems, Jesus had given the brothers the name ‘Boanerges’—sons of thunder (Mark 3:17). 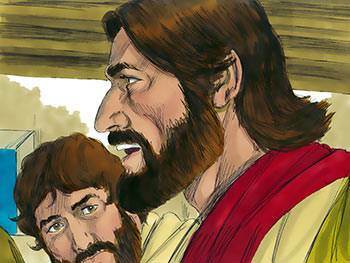 Another apostle, named Simon the Zealot, appeared to be hot-headed and he, too, was chosen by Jesus to be His disciple. If you were about to found a church, would you choose hot-heads to assist you in your task? Yet Jesus seems not to hesitate to do it. Why? Was it because He saw them, not as they were, but as they could become? Worth pondering, don’t you think? No doubt as Jesus expounded to His disciples the truths concerning the coming Kingdom, those who were more ambitious coveted for themselves a privileged position in the new regime. Peter, on one occasion, wanted to know from Christ what his reward would be for having left all to follow Him (Mark 10:28). 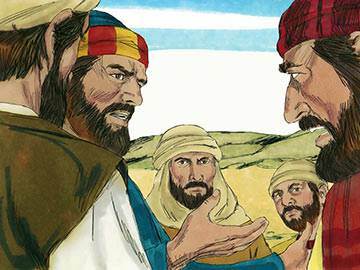 Again, when travelling to Capernaum, the disciples were found arguing among themselves as to who was the greatest among them (Mark 9:34). It is evident from this, and other incidents in the lives of the disciples, that ambition was high on their list of priorities. James and John, probably encouraged by their mother, wanted the two top jobs in the Kingdom, and are considered by many commentators to be the two most ambitious disciples. There is nothing wrong with ambition, providing it is linked to the right goals. God has one ambition which supersedes all others. You can read about it in Romans 8:29: “For from the very beginning God decided that we… should become like his Son” (TLB). Is that your ambition too? 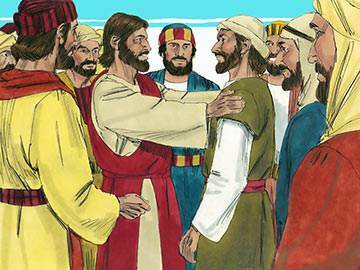 It seems, from the record contained in the Gospels, that John became the closest to Jesus of all the disciples. John occupied the place of honour at the Last Supper, where he could engage in close and intimate conversation with his Master (John 13:23-26). This closeness between himself and Jesus is seen also as we study the Gospel which he wrote, for there we see signs of an intimate understanding of the ideas of the Lord that is not quite evident in the writings of Matthew. This close relationship between Jesus and John comes over most clearly in the moments prior to Jesus’ death, when He selects John to be the one who will have the responsibility for the care of His mother, Mary. What a remarkable change had taken place in John during the few years that he spent with Jesus! His zeal and pride were softened by the grace of the Lord Jesus, and weaknesses were turned into strengths. This is what should happen to all those who call themselves His disciples. Is it happening to you? 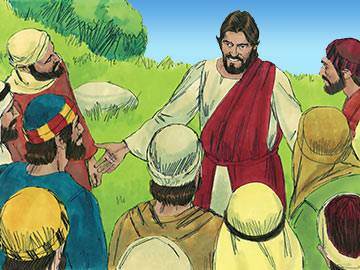 During the three-year period in which Jesus talked and walked with His disciples, there were several occasions when He took three of them apart for a special purpose. 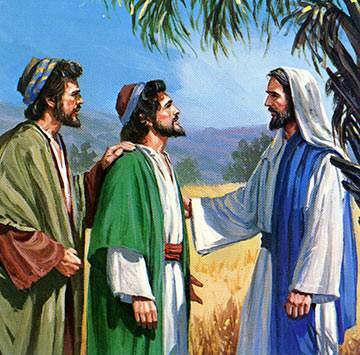 The three who were singled out for this special favour were Peter, James… and John. The first of these occasions was in the house of Jairus, when Jesus raised the ruler’s dead daughter back to life. The second was on the Mount of Transfiguration when Jesus was transfigured before them. And the third was in the Garden of Gethsemane, when Jesus took them into the heart of the garden that they might be with Him during His deep spiritual struggle. It is interesting that all three occasions when Jesus took Peter, James and John apart were in some way connected with the theme of death. 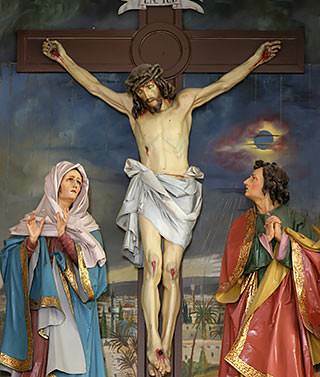 Question: Why did Jesus, on three separate occasions, take the trio into a situation connected with death? Answer: He wanted them to see that He was sovereign over death (in the house of Jairus), superior to death (on the Mount of Transfiguration) and subject to death (in the Garden of Gethsemane). Although John was once a ‘son of thunder’, it becomes obvious that his relationship with Jesus changed him from a proud zealot into a kind, deeply loving and considerate person. In face, so amazing is the change in John that he seems altogether a different disciple to the one who teamed up with Jesus in the beginning. What produced such a dramatic change? We have already seen that it was the result of spending time in the presence of Jesus, listening to His words and imbibing His spirit. John was obviously a good learner, for what Jesus taught and demonstrated he not only saw and heard, but assimilated into his own person and put into daily practice. A Christian has been defined by someone as “a person who cares more for others than they do about themselves”. Not an exhaustive definition perhaps, but an interesting one. How do you feel about such a definition? What is more—is such a definition true of you? In the early days of the Christian Church in Jerusalem, it seems that the believers met to pray, not only in their homes, but also in the Temple (Acts 2:46). 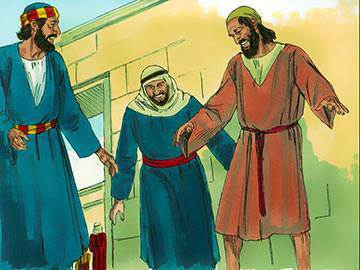 On one occasion when John and Peter were passing through the Beautiful Gate on the way to the Temple, they encountered a beggar asking for alms. Peter and John were unable to give any financial help, but they gave him something better—healing and deliverance through the Name of Jesus. The healing of the lame man resulted in the immediate gathering together of a great crowd which, in turn, furnished them with the opportunity to present the claims of Jesus Christ to the people. As a result of their preaching, they were both charged not to preach any more, but they decided to disobey the authorities and continue their anointed witness to the Lord Jesus. Many Christians are confused about how to relate to authority. Should we obey or disobey those who have the rule over us? The principle is this: we obey every law of the land except those which bring us into direction confrontation with the higher law of God and Christ. There can be little doubt that John was one of the greatest of all the apostles. 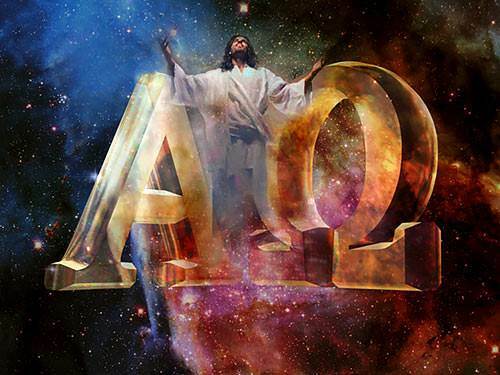 He was the writer of the fourth Gospel, the three epistles of John and the book of Revelation. In his Gospel, John presents a view of Jesus which is different from that of the synoptic Gospels (‘synoptic’ means ‘a like view’), in which the deity of Jesus shines through in majestic splendour. The main lesson we learn from examining John’s life is the fact that when someone walks constantly with Jesus, assimilates His word, obeys His instructions, then his weaknesses are turned into strengths. It is not by coincidence that the ‘son of thunder’ became the ‘apostle of love’. Our weaknesses, in fact, have within them the potential for becoming our strengths. All it needs is for someone to move them on to the right track. Jesus is that ‘Someone’. He did it for John—and He can do it for you.